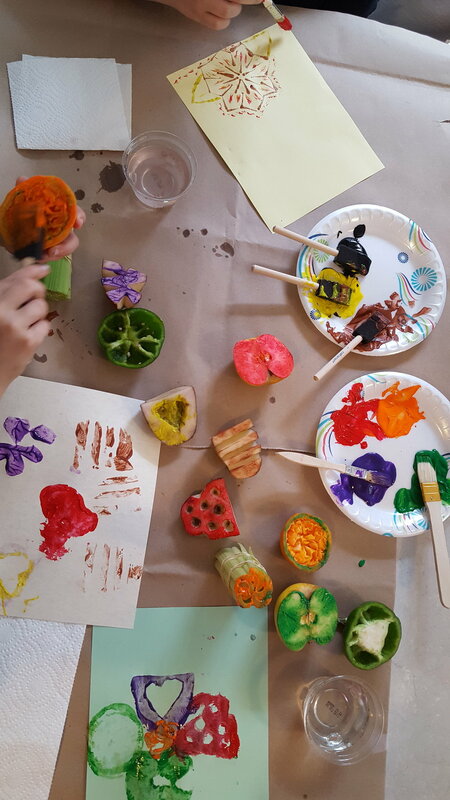 Jeri Katherine Howell led a workshop on printmaking, painting, and collage with children and their parents at the Franklin County Women and Family Shelter. She and Doris Thurber also led a collage workshop - focusing on self-esteem - with students at Bondurant Middle School. Please click on the images to enlarge.